Bad Lip Reading has tackled football, The Walking Dead, The Hunger Games, Twilight, Spider-Man, and many more topics but their latest may be our most favorite. 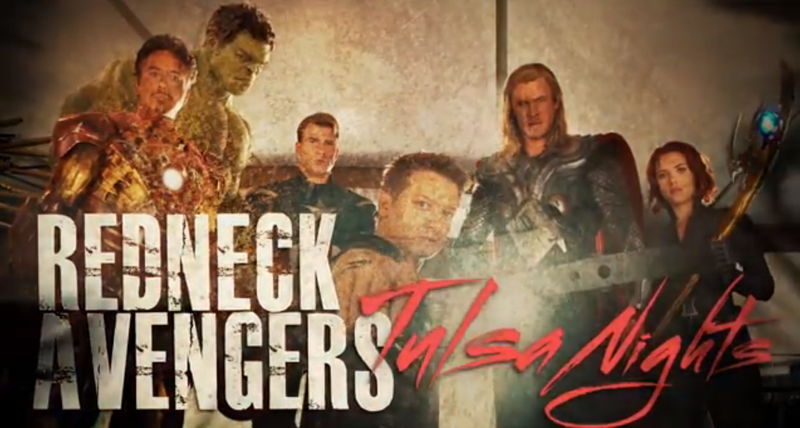 Titled “Redneck Avengers: Tulsa Nights” we get a different and and all-new addictive look at the Avengers. This is what it COULD sound like if Marvel’s Mightiest were from the bayou. Give it a watch and let us know what you think. Follow Bad Lip Reading on TWITTER to stay up to date on new releases. This entry was posted in Marvel, Super Heros, Video and tagged Bad Lip Reading, Marvel, Redneck Avengers, The Avengers. Bookmark the permalink. Omigosh, this was too perfect. I mean, it’s terribly wrong, oh, so wrong, but damn, that was awesome. Lol!